Disney's magnetic blockbuster premieres in Chicago! 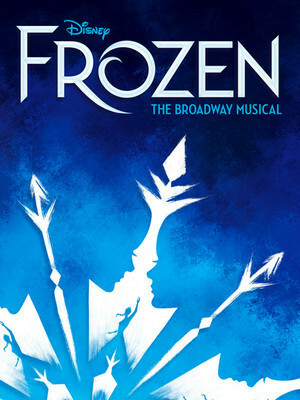 Prepare to Let It Go, Chicago, as Disney's smash-hit of the last decade arrives in a flurry of excitement in this live stage adaptation! 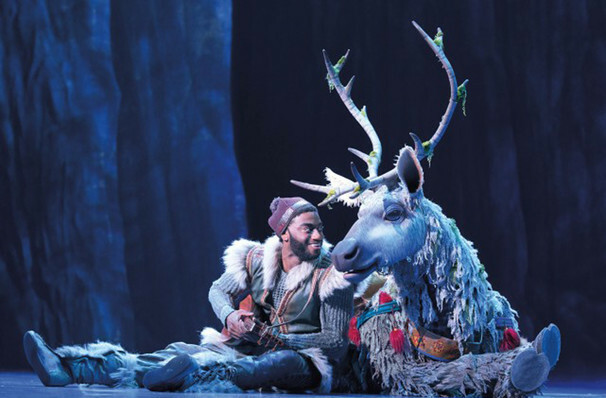 A hit on Broadway and gearing up to head on its first national tour, Frozen - The Musical will premiere in the Windy City for an exclusive 11-week engagement. Full of the magic and music that made us fall in love with the original animated movie, expect to be wowed once more as this theatrical spectacular brings the story of Anna and Elsa to breathtaking life with soaring songs and stagecraft! If you're not already familiar with the story, where have you been?! Loosely based on Hans Christian Anderson's fairytale The Snow Queen, the story takes place in the Scandinavian surrounds of Arendelle, where two royal sisters, Elsa and Anna must grow up alone after losing their parents in a tragic sea accident. Elsa, the elder of the two must also contend with a secret - she has the power to create ice and snow with her bare hands, which she must keep secret, even from her sister, who nearly died whilst playing together as little girls. Anna, by contrast, is a sunny, albeit naive young lady who yearns for the outside world, having been isolated from Elsa since the accident. When Elsa comes of age, she must take the throne as Queen, and the kingdom is reopened for her coronation - just for one day. 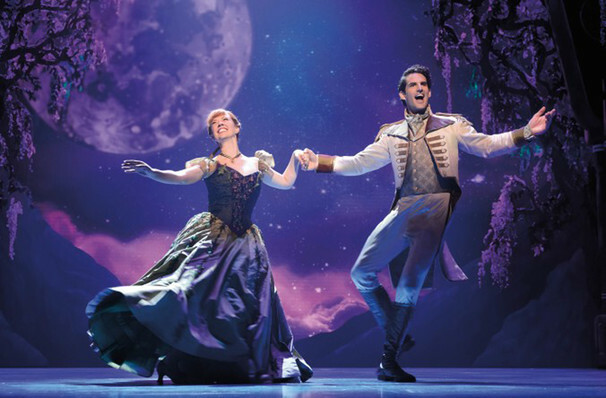 Anna meets a handsome and charming Prince called Hans, who she instantly wishes to marry, much to Elsa's consternation. When the argument inadvertently reveals Elsa's powers, she flees to the wild North Mountain to live out a life of solitude and freedom. But Anna must find her sister and bring her back (with the help of an ice-seller, his reindeer and a talking snowman), otherwise, the fate of Arendelle will be frozen forever, and left to the mercy of a cruel power. 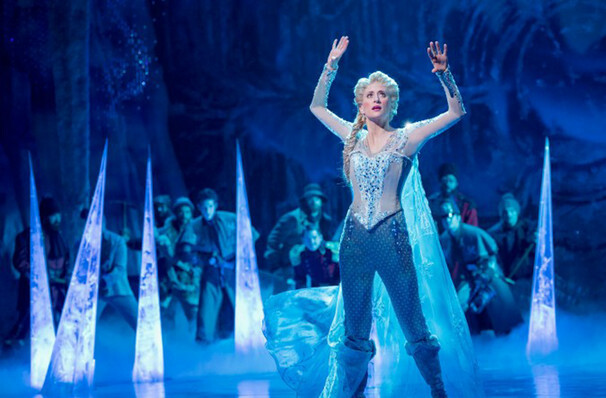 Images used are from the Broadway production of Frozen The Musical and do not necessarily reflect casting for this engagement. Sound good to you? 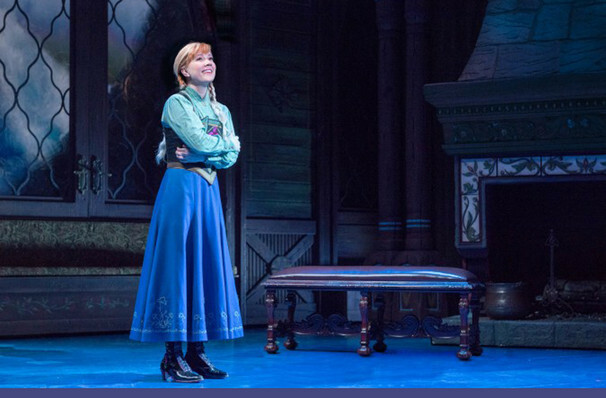 Share this page on social media and let your friends know about Frozen at Cadillac Palace Theater. Please note: The term Cadillac Palace Theater and/or Frozen as well as all associated graphics, logos, and/or other trademarks, tradenames or copyrights are the property of the Cadillac Palace Theater and/or Frozen and are used herein for factual descriptive purposes only. We are in no way associated with or authorized by the Cadillac Palace Theater and/or Frozen and neither that entity nor any of its affiliates have licensed or endorsed us to sell tickets, goods and or services in conjunction with their events.